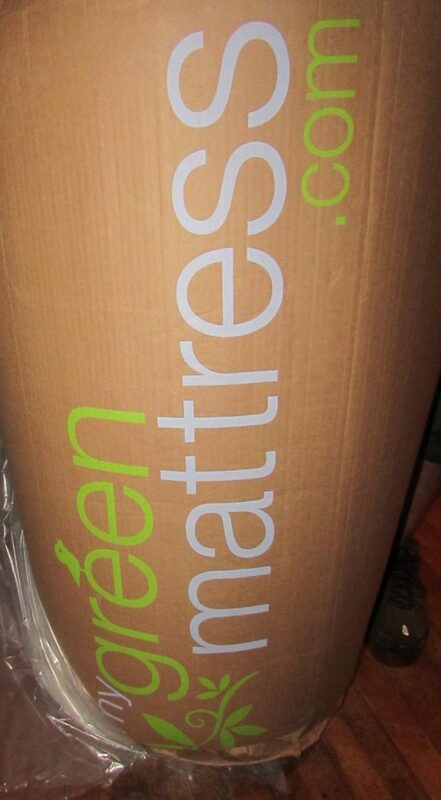 I received the mentioned product from My Green Mattress in exchange for an honest review. The thoughts contained within this post are mine and may vary from the thoughts of others. My Green Mattress was founded by Tim Masters. Tim is an experienced businessman, master craftsman, and devoted family man. Tim’s daughter, Emily, inspired him to expand his offerings to include all natural mattresses. Shortly after Emily was born, it was apparent that she suffered from eczema and allergies. Tim and his wife, Cindy, took Emily to see the best pediatric dermatologists, but also did their own research and found that all-natural products could help alleviate Emily’s symptoms. Tim realized it was time to offer all-natural mattresses to his customers, and rushed to put one in his daughter’s crib. Emily is now sleeping on a twin-size, all-natural mattress handcrafted by her Dad. She is a happy, healthy little girl that loves to play with her three sisters, Rylee, Madelyn, Megan, and with her brother, Kyle. Tim began working as an apprentice at family-owned, Quality Sleep Shop, that was established in 1968. As an apprentice, Tim mastered the art of mattress making. He eventually bought the business, and has expanded it with the addition of the My Green Mattress division to keep up with the ever changing needs of his customers. For those who know us personally you will know that we co-sleep, or should I now say co-slept. Last Fall when pregnancy was getting the better of me and Jack was having issues sleeping I opened the door again to co-sleeping because it was just easier. We went to bed together, woke up together and honestly I enjoyed spending the time with him since I knew he was in his final months of being the only child in the house. When William was born in March the co-sleeping just continued. It was again the easy way and all around helped me to easily get things done and we still went to bed mostly at the same time, woke up together and while it may have been considered to many pushing the easy button it seriously worked for us. We had the baby in a sleeper in the room, Jack in the queen sized bed and even while the baby was waking a lot through the night and some nights I swear never closing his eyes one time we all got some rest. Recently Jack started to ask about sharing a room with his brother. Willie is now 7 1/2 months old and I thought it was time. This meant a LOT of work but I want to share our story about how we went from a family bedroom to the boys sharing a room. At that time I was discussing this review with My Green Mattress and found it to be perfect timing for the big room reveal. I made the trek to Home Depot with some paint ideas in my head for the 2nd bedroom and was super thankful that I didn’t have to paint 2 rooms. I knew I was biting off a huge project but was really hoping and praying that it would pay off and make Jack feel more independent at the same time. 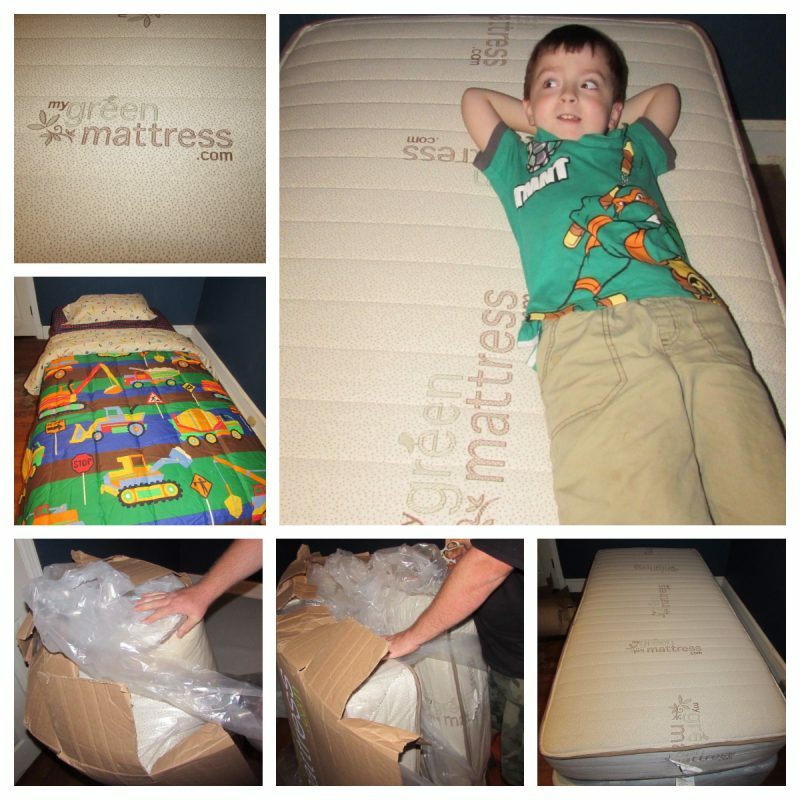 The mattress arrived on a Saturday via FedEx and I was really shocked to see that a twin weighed 70 pounds! I had just carried the old bed out pretty much by myself several days before to make room for painting and couldn’t believe that this one was this much heavier. I did some research online, went onto YouTube and asked for the assistance of my husband in the unwrapping of the bed this week. Pictured above you can see how the unwrapping revealed a beautiful mattress! Check out the cool packaging! It was easy to unwrap with just some kitchen scissors although I am sure others would use a different method this is what worked for us and it was like an unveiling of something amazing. We let Jack be a huge part of the unwrapping to make him feel involved as much as possible and talked about each thing we were doing. Another back story is that we had a brand new bedding set waiting for him to add to this amazing bed because seriously, what is a new bed without new bedding? We put the My Green Mattress on top of a box spring that we already had, but I have seen that some people just put them right on the floor. I prefer the method we chose because Jack is able to have a bed skirt to go with his new bedding that is “all boy” and he was so thrilled. The first night came with a few tears, a few times he came out and asked to be cuddled which we immediately agreed to. 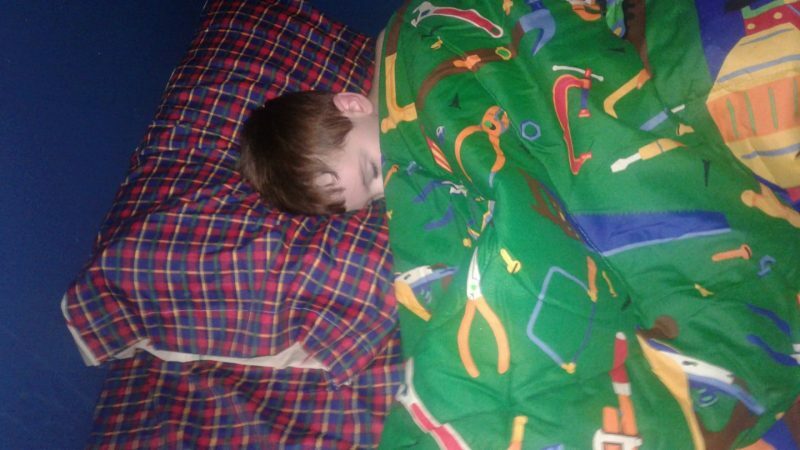 He did fall asleep in his new bed and let me tell you guys, it was a refreshing feeling. As a parent I felt like we had a major win that night. We promised Jack that if he got scared in the middle of the night he knew where to find us which I believe was a huge part of making this transition a lot easier than it could have been. That night he did end up in bed with us. He was feeling anxious when he woke up and there was no Mama to cuddle. The next day though he proudly announced that he was going to take a rest. This was amazing, I mean seriously Jack had not taken a rest without pleading with him in MONTHS. He went on his own, right to the bedroom. No tablet, no tv, nothing but a stuffed animal and caught a beautiful 1 hour nap in the middle of the day. I believe we were all refreshed from his choice because I was able to get some things done and he woke up feeling like a brand new child. I know that this review contains a lot of personal story, but this is our life and we are super thankful for My Green Mattress for making a transition that could have been SO hard for all of us into something that was a breeze. What seems like a small win to some families is a huge win for us and I will take it!